Address: 1580 Disneyland Dr, Anaheim, CA 92802. 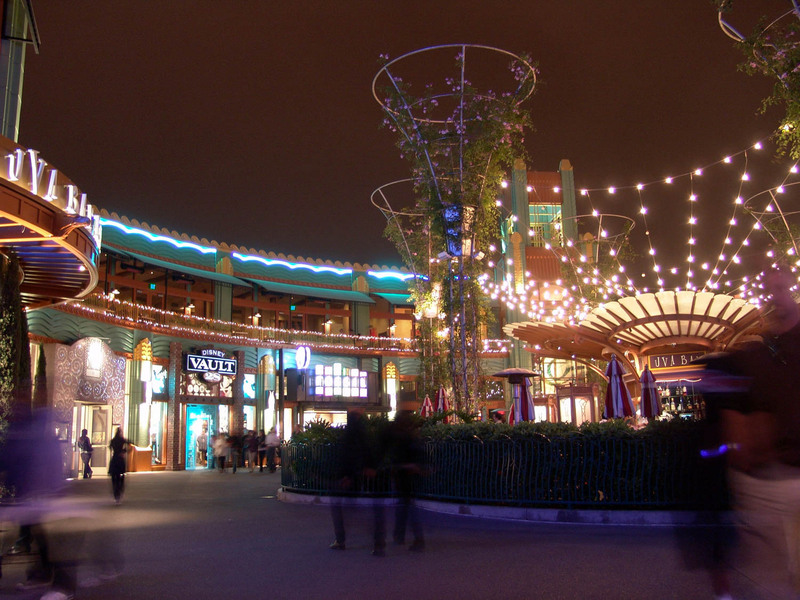 Downtown Disney is the hub for shopping, dining, and entertainment. It’s a great opportunity to relax and enjoy live music, hop on the monorail back into the Disneyland park and much more. We often use it as a great meeting place or cut through the Grand Californian as a shortcut to California Adventure. Shopping in Downtown Disney is highly recommended- especially in comparison to shopping inside the parks. Our favorite shops include the World of Disney, the LEGO store, and Little Miss Matched. The prices are similar to inside the park, but it’s easier to shop at the end of the day and the shops seem easier to navigate. Dining is, at times, easier in Downtown Disney than in the parks. We like to eat lunch or dinner downtown when the crowds get intense. When we eat downtown, we usually eat a big lunch or dinner so we don’t spend all our time and money eating in the parks. Some of our favorite restaurants are The Jazz Kitchen, The Jazz Kitchen Express, Earl of Sandwich, and sometimes even Rainforest Cafe. Downtown Disney offers free parking for up to three hours or up to five hours with validation from participating locations in Downtown Disney. Lastly, Downtown Disney offers great entertainment from live bands to stores that catch the eye of everyone (from the toddler to the oldest adult). It’s also a convenient place to watch the fireworks from Disneyland when they are having their show. Here are some of our photos over the years. We’ve made it a fun tradition to take a photo next to the safe storefront.